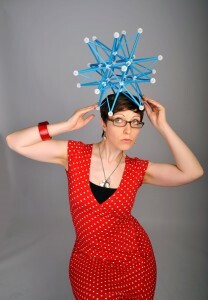 It’s time to get your geek on with a night of mind-expanding ideas and rib-tickling comedy, hosted by comedian and science songstress Helen Arney in collaboration with the Institute of Cosmology and Gravitation. Event suitable for age 18+ only. May contain dark matter and scenes of accelerated expansion. This event is now sold out. Tickets will not be available to purchase on the door.